My husband and I have been talking about trying competition pistol shooting for a while now, but until this summer we have had other priorities. 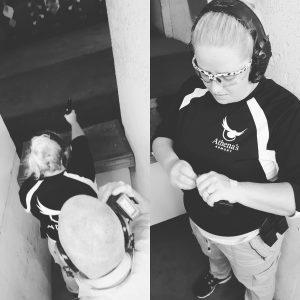 This year we decided to have some fun and learn first hand about the practical shooting competitions available to us here in southwest Florida. We have written many times about how to practice at the shooting range. You can work on improving your accuracy, work on aspects of specific shooting fundamentals like grip or trigger control or play games with a shooting partner using a fun target. All of these are great ways to mix it up at the range and keep shooting practice fun. The best way to make practice fun, however, is to try out one of the pistol shooting sports. You might think competition shooting isn’t right for you, especially if you’re a newer shooter, but if you give it a chance, I’ll bet you have fun and learn a few things. The benefits from shooting competitions are many. For example, learning to shoot and reload while moving is a practical skill you can’t work on at a normal indoor range. Sometimes you must engage targets with only your strong hand or, gulp, only your weak! Competitions force you to engage targets under time (and audience!) pressure, which simulates some low-level biological stresses like the adrenaline dump and heart rate increase you’d feel in a real-life encounter. Of course, meeting new people and getting tips on shooting fundamentals and gear is a plus. Last but not least, our favorite benefit…shooting outside in the fresh air! It’s so much easier on the senses! The shooting community is a very welcoming and helpful bunch and we have seen all levels of shooters at matches, so if you are a newer shooter, don’t worry! 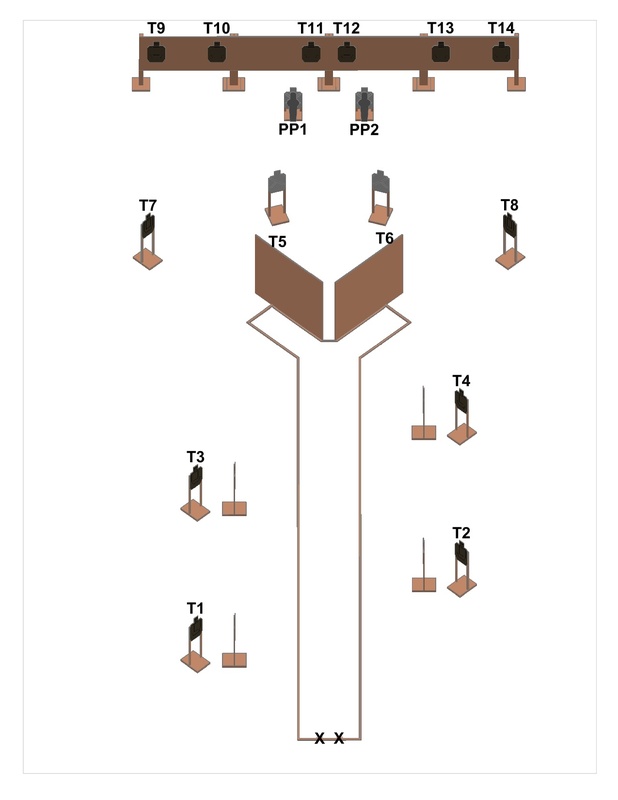 Most major competitions have divisions that allow you to shoot with a stock pistol so you don’t need to spend a bunch of money on a special competition pistol to get started. Usually, the only other gear you need is a few magazines, a magazine holder, a decent belt and an outside-the-waistband pistol holster. If you are interested, there are two major sanctioned groups that offer organized matches: USPSA and IDPA. Both will test your fundamental skills and accuracy under time pressure. Here is a brief overview of each style of competition and there are some links at the bottom if you want more information. If you’re in the southwest Florida area and have questions about what’s available around here, just give us a ring or send an email. 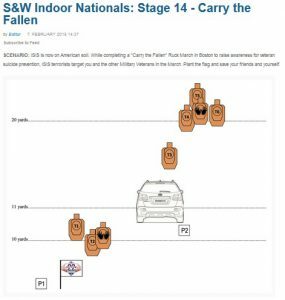 The United States Practical Shooting Association (USPSA) offers shooters the chance to solve shooting problems – a course of fire with multiple stages – in a race for the fastest total time. It is known as the more “run and gun” of the two organizations because shooters are given more freedom to choose how to run the course and when and where to reload. Decisions on how to shoot the course are based on what is the fastest for each individual. You can shoot a USPSA match in the production division with your normal carry or home defense gun, but the round count is usually higher than IDPA so you will need more extra magazines. Outside of the production division, there are Limited and Open divisions, where the sky is the limit as far as gun modifications, optics and related equipment. The International Defensive Pistol Association (IDPA) was started by shooters who felt that the USPSA was getting too focused on specialized pistols and gear and offers shooters the chance to solve “real-world” based shooting scenarios with everyday defensive carry gear. As compared to USPSA, IDPA tries to keep its focus on what you would need to do “on the street”. There are rules about when and how you can reload – you must reload behind cover and you must retain on your person any magazine with rounds still inside. There are rules about how you must shoot certain targets – according to “tactical priority”. And although there are different classes of competition for stock guns and modified guns, everyone shoots the course of fire using a concealment garment. Both sanctioned groups offer a great way to get outside and shoot, allowing you to work on your draw and placing accurate shots under time pressure. Both groups put top priority on firearm safety so you will be reinforcing good habits in this area. We really enjoyed watching and talking to other shooters as well, learning about different equipment options and seeing how different shooters tackle the various stages. For more detailed information, check out this article at guns.com and visit the association web pages at uspsa.org and idpa.com. Or better yet, find a local club and go out and watch a match and see for yourself how much fun it can be!